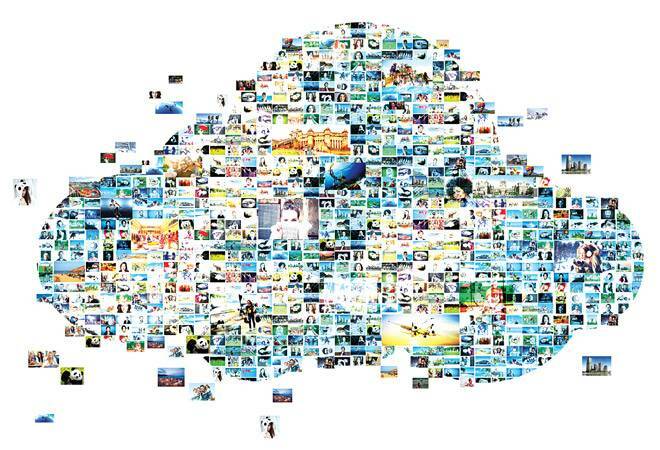 Best apps for unlimited storage of photos and videos on the cloud. In this era of Instagram, there's a photo opportunity at every turn. Our smartphones are full of stories - in the form of photos and videos - that we merrily curate to cherish from time to time. But our smartphones can seldom keep pace with our enthusiasm to capture everything that catches our fancy. At some point, we have had to delete pictures to free up space because storage in smartphones, although expandable, is limited. Google hit the nail on the head by offering unlimited storage for photos and video backups in original quality (till January 2021 and high-resolution uploads afterwards) - that can even run into 100s of TBs - in its Pixel 2 devices. This means users can capture as many 4k videos as they wish and back them up on the cloud. One need not invest in a new phone just for unlimited storage. There are apps that can easily back up your gallery to the cloud. Backing up will also ensure you don't lose your precious pictures and videos in case your phone or laptop becomes dysfunctional. Google's Photos app is the most popular, offering unlimited photo backup (restricted to 16 MP images and 1,080p videos). Once you download it on your smartphone and log in, the app automatically starts uploading photos to the cloud. Once backed up, all the images are arranged date-wise on the home page with details such as location, season, month and year to aid search. The free plan stores photos at a resolution of 10.6 MP/3264 pixels. Those opting for the Pro version can back up images in the original resolution and have an additional 10 hours of video storage for a monthly fee of `620/month or an annual fee of `4,300/year. It is available for iOS, Android and PC. Irista, from the house of Canon, allows you to manage, share and print your collection of photos and videos in their original quality. Photos can be imported from Facebook, Google+ and Flickr. The free account comes with 15 GB of storage which is sufficient for storing approximately 700 photos shot at a 12-MP resolution, and one hour of HD videos. While the free plan is good enough for starters, professionals can opt for the 1.99 euro per month plan that offers 100-GB storage or the 11.99 euro per month for 1-TB storage. Log in using your Amazon account and get access to 5-GB of free storage. Much like other apps, you can access your photo library by logging in from anywhere on any device. Although 5 GB sounds too less - compared to others that offer storage in TBs - the option to hide photos from being viewed in the gallery or on other devices is its biggest highlight. Prime members can invite up to five people to their account to store photos together in the Family Vault. MediaFire will back up all your files including photos, videos, music and documents on the cloud. The app offers 12-GB of free storage, and can also be used to view documents, spreadsheets, presentations, videos, and also to transfer files directly from any website. It allows you to directly share files through email, SMS, Facebook, Twitter, Weibo, or even copy and paste links. MediaFire offers 1-TB of storage for $49.99 for one year, and is available for iOS and Android platforms. Available for iOS and Android platforms, G Cloud offers up to 10-GB of cloud storage for backing up contacts, messages, photos, videos, music, documents, call logs and more. The app also comes handy when switching to a new phone - instead of sending images over Bluetooth or the ShareIt app, one can move all the files with a single tap. G Cloud stores files on the Amazon AWS Cloud with military-grade 256-AES encryption.